These hamburger soup recipes are great for cold winter days. 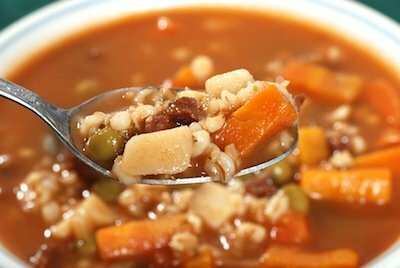 The first hamburger soup recipe is one of our favorites and the second is a healthy vegetable soup. 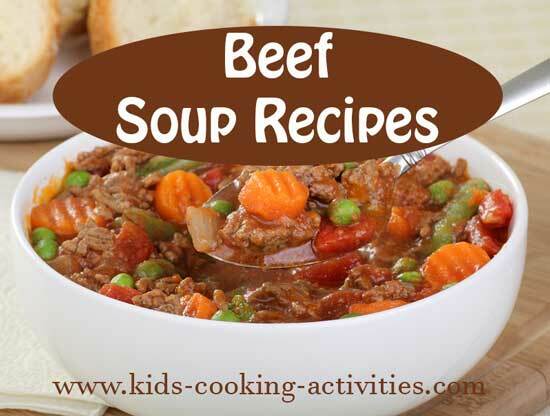 Plus more additional reader's hamburger soup recipes. Cook noodles and drain. Meanwhile, cook ground hamburger. 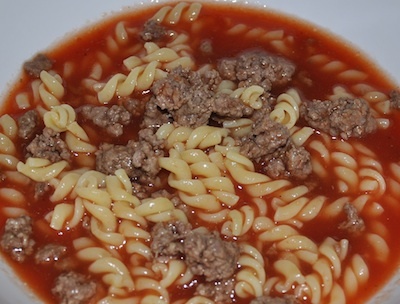 Combine macaroni, cooked hamburger, tomato juice, water and pepper to taste. If you are preparing this recipe ahead of time, leave the pasta separate from the soup. When it is dinner time warm up the soup and add pasta and soup together right before serving. The pasta noodles will soak up the juice otherwise. In crock pot, add cooked hamburger, beef broth and vegetables. Season with salt and pepper, seasonings and Worcestershire sauce. Cook on low 4-6 hours. Add rice and continue to cook several hours. Take out the rice and trade for other vegetables if you'd like for example carrots and green beans could replace celery and cabbage. Crumble the meat into a Dutch oven pan and place the pan over medium heat. Drain the meat well and return to the pan. Stir in the broth, vegetables, tomatoes with their juice and tomato juice. If you dont have basil pesto on hand thats okay. Just add a pinch of dried basil to the soup before bringing it to a boil. Add some Italian bread and a side of fruit and you have a meal that is both filling and delicious in no time. Brown beef with onion. Season with salt and pepper and add oregano. Drain meat and add to a soup pan. Add pureed tomatoes, barley, and beef broth to pan. Cook until barley is tender. If desired add a bag of frozen vegetables 10-15 minutes before serving. Allow to cool and pour in freezer containers. Try some beef stew recipes. 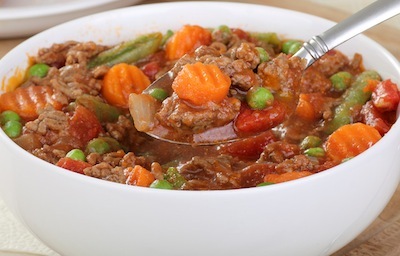 Do you have a favorite easy hamburger soup recipe?